Hello Readers! Love Disney? Love Marvel? How about both of them combined for a movie? well Hey check this out you may like it or like the trailer. Check below for the great news. Big Hero 6 is the next Disney film to come on the Big Screen and the film is in partnership with Marvel so its based on the same Marvel Comic with the same name. 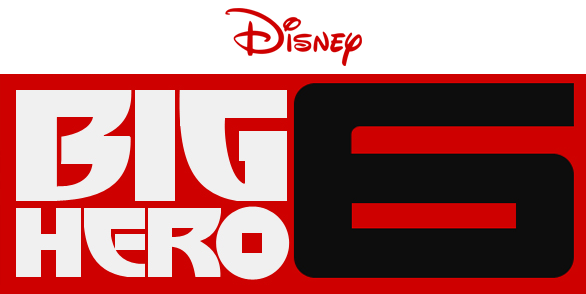 Big Hero also has the same look as Wreck it Ralph sop that’s a plus also looks like it could be a fun film to see. Check the trailer below and let us know what you think. Plot: Big Hero 6 is a heartfelt comedy adventure about robotics prodigy Hiro Hamada, who learns to harness his genius thanks to his brilliant brother Tadashi and their like-minded friends: adrenaline junkie Go Go Tamago, clean freak Wasabi No-Ginger, chemistry whiz Honey Lemon and fanboy Fred. When a devastating turn of events catapults them into the midst of a dangerous plot unfolding in the streets of San Fransokyo, Hiro turns to his closest companion — a cutting-edge robot named Baymax — and transforms the group into a band of high-tech heroes determined to solve the mystery.